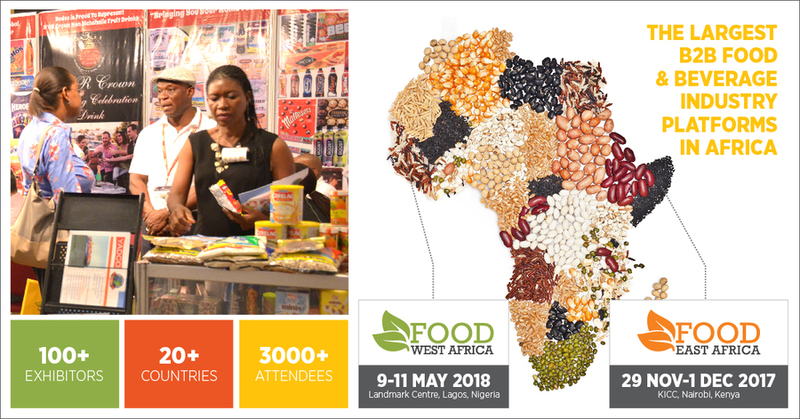 LAGOS, NIGERIA, March 13, 2018 /24-7PressRelease/ — The third edition of Food West Africa – the largest B2B food and beverage industry platform in West Africa – is returning to the Landmark Centre in Lagos, Nigeria from 8 – 10 May 2018. As Nigeria continues to dominate the retail sector in Sub Saharan Africa, Food West Africa organisers Informa Life Sciences Exhibitions, the worlds leading publishing and exhibitions company, expect the trade event to attract more than 4,400 industry professionals from 25 countries looking to make new wholesale, retail and food service contacts in the industry. Spanning more than 3,000 sqm of exhibition space, Food West Africa will host +100 local and international exhibitors showcasing exciting new F&B products, services and equipment from across the globe. In addition, two new country pavilions have been announced for the 2018 edition of the show – India and Pakistan. The Indian food and grocery market is the world’s sixth largest, with retail contributing 70% of the sales. Similarly, consumer industry growth in Pakistan is ranked number three worldwide. The Nigerian wholesale and retail industry, which accounts for 16.7% of GDP, remains a lucrative investment opportunity on the back of a large and rising population with a rapidly increasing rate of urbanisation. Nigeria has also seen the development of a market for luxury goods. The country’s burgeoning middle class is expected to have consumer spending in excess of $25 billion by 2020. According to a KPMG report titled “Fast Moving Consumer Goods in Africa”, the FMCG sector on the continent stands to benefit immensely. With food, always being a necessity, there’s an increase from basic staple foods to a wide range of products. Bestway, the largest independent cash and carry operator in the United Kingdom, and supply partner to over 70,000 independent retailers and 40,000 catering and foodservice operators, has also confirmed that they will be exhibiting at Food West Africa 2018 once again. With a UK turnover of GBP2.5 billion and a comprehensive logistical infrastructure, the company has the scale, purchasing power and expertise to help their customers compete in an ever-changing food and drink sector. Once again, local representation from Nigerian companies is strong with key exhibitors such as Just Food Limited, ABX Food, AgroNigeria, Graceco, and Sona Agro Allied Food Industries present for the three-day event. 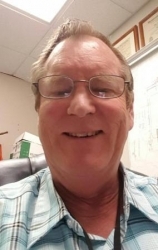 Education is high on the agenda at Food West Africa 2018 with a two-day free-to-attend conference that will focus on current issues in food supply chain management. “The conference has been crafted to determine challenges and help improve current systems and procedures in doing business in the West African F&B industry. All industry segments will be represented – from domestic and international large-scale food companies, governments, local agencies and associations – to give their insights into improved technologies and advanced measures to consolidate and implement best practice in food distribution retail in West Africa,” commented Sanderson. The event continues to enjoy firm support and backing from the Association of Food Vendors in Nigeria (AFVN), the National Agency for Food and Drug (NAFDAC) and NASON.